In 1991 Diego Cordovez began playing at the Cameo Club in Palo Alto, California, and poker became his life. Soon after he started playing he won the best all-around player award at the Peppermill Club in Reno, Nevada. This event is what caused him to believe that he could step his game up a little. 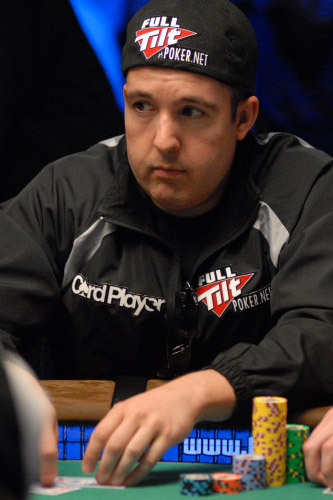 One thing Diego Cordovez doesn’t like about poker is that playing poker full time makes it seem like an obligation. Diego became CEO of Advance Global Applications, LLC, which has developed software for poker sites. When talking about this business Diego has said that he would enjoy meeting his competitors, partners, clients, and employees at the poker table. Diego Cordovez likes to play in poker tournaments with very large player fields, where his patience becomes a real asset. It was this philosophy that made him enjoy looking forward to a $1 million guaranteed Limit Texas Holdem event at the Commerce Casino in LA. He went into the poker tournament prepared to rebuy several times if needed due to the large prize pool, but ended up only rebuying once. With rebuy tournaments, Diego says that one key is to look like you are prepared to rebuy, otherwise the other players will be very aggressive against you and try to bluff you out of the pots. Diego Cordovez also doesn’t play in any side games during tournaments, as side games are different and can cause a break in his concentration. He also says that if you are concentrated all the time you can beat some better players who are distracted. Diego Cordovez currently lives in Palo Alto, California.